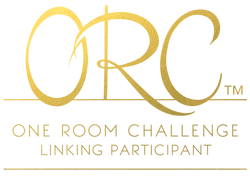 Did you follow the One Room Challenge (ORC) this spring? It’s time for the fall edition! Twenty designers committed to making over one room in the next 6 weeks, sharing their progress along the way. Linda from Calling It Home does an amazing job organizing everything. In addition to the 20 designers, other bloggers can join in as linking participants. That means we can all be a part of the same six week challenge! I decided this sounded like too much fun to pass up, so I am officially a One Room Challenge Linking Participant. Yikes! Each Thursday I will be posting an update on my room here for you, as well as linking my update to all the others over at Calling It Home. Once I decided I wanted to play, I had to pick a room. 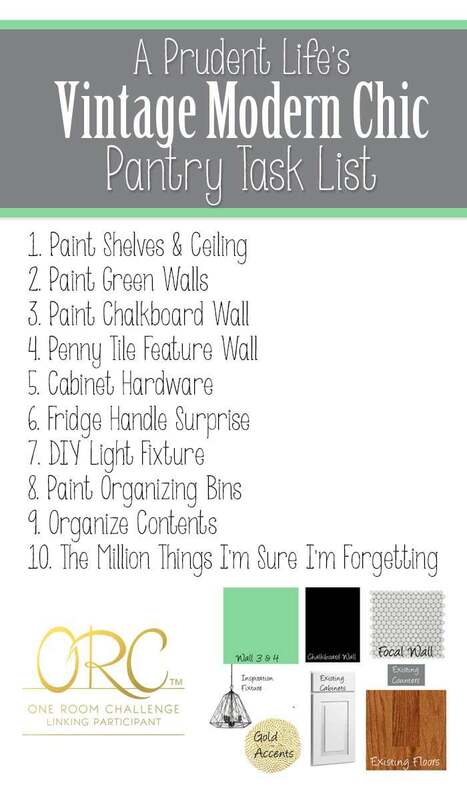 I started off thinking the garage, because it is in desperate need of some serious organization & beautification. But, I wasn’t sure I had the time or the budget to finish all those projects in 6 weeks. Finally, the lightbulb above my head not only came on, it starting flashing like a glorious marquee! My walk in pantry is perfect for this challenge! I’m sure you are now wondering how I’m going to drag out a pantry makeover for six weeks. 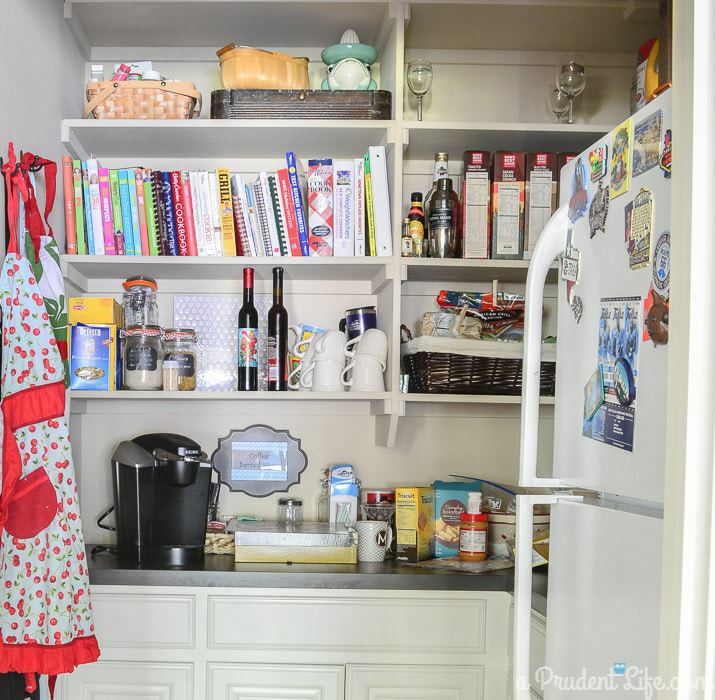 But, our pantry is more like a little kitchenette. It needs a backsplash, paint on the walls and shelves, new lighting, and tons of organizational help. We actually decided to build this house in large part because I fell in love with the pantry. But, over the almost three years we’ve been here, I’ve been falling out of pantry love because it’s getting all cluttered and annoying. It’s time for relationship CPR between me and the pantry. Here are some snapshots of the space I’m going to be living in for the next few weeks. Obviously all this is the pantry’s fault and has nothing to do with me. Right? Don’t be scared, but this is the food storage side. I LOVE old houses with tons of vintage charm, but they just don’t exist in the area of town we want to live in. So, when we had our house built, we tried to make design choices that helped our home feel different that the rest of the new builds. We requested things like white subway tile in the kitchen versus the tumbled stone back splashes that are so common here. Schoolhouse pendants over the island were another another vintage inspired choice. Of course, the reality of a budget comes in at some point and you have to decide what character you want now, and what can be added later. 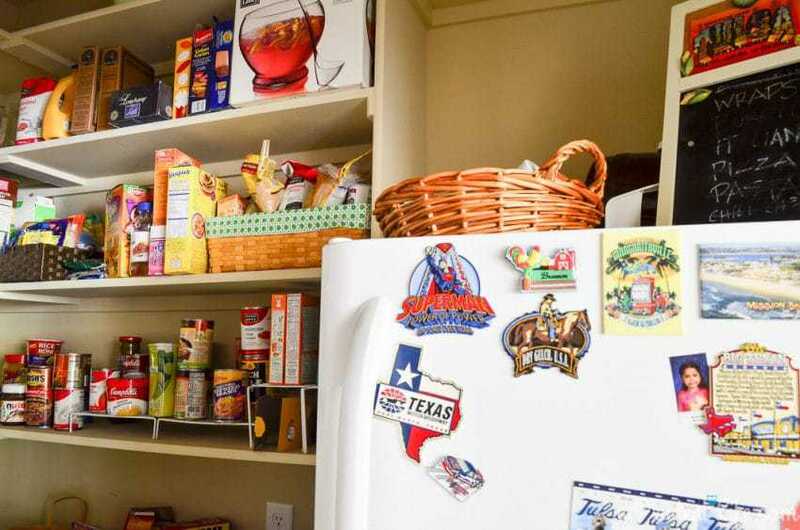 The pantry was a great place to skip character three years ago because we knew it would be easy to update later. I’m so glad that it is finally time! Six weeks from now this space should be oozing vintage modern chic-ness. Over the next week, I’ll be tackling steps 1-3. I think painting the shelves white will be a huge change. It kills me that they are the same beige as the walls. It’s a little thing, but the baseboard needs to be painted white as well. In all of our closet spaces, they went crazy with the paint sprayer. 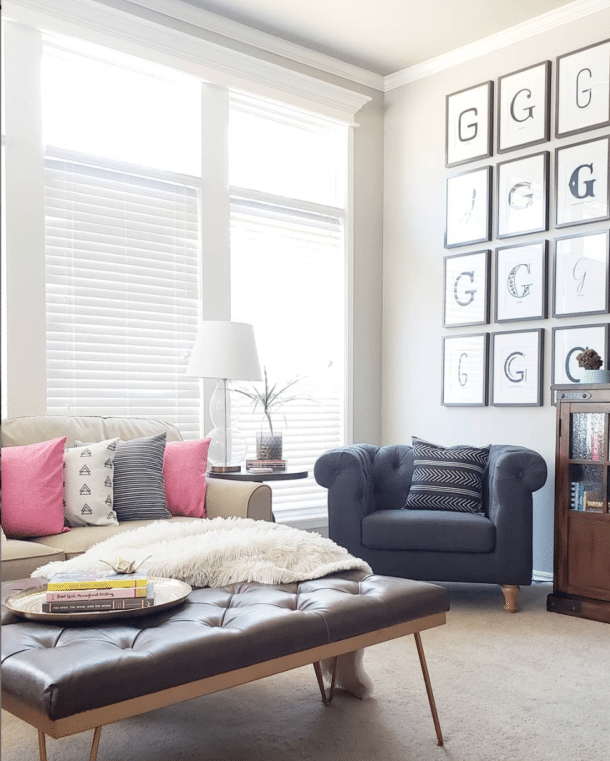 Every wall, shelf, ceiling, & baseboard in every closet is the same stinkin’ matte Shaker Beige. It’s making me crazy! I better stop typing and start painting! To see what spaces everyone else is making over, don’t forget to visit Calling It Home! 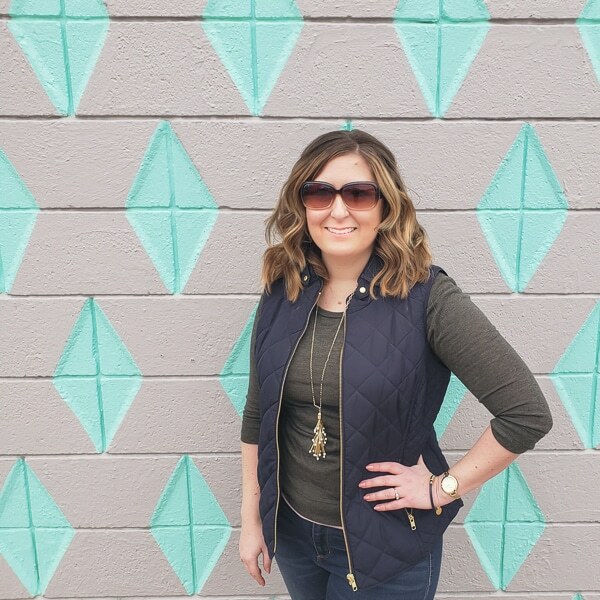 Oh, and I’d love you to enter your email address at the top of this page so you don’t miss out on my weekly progress posts. « 10 Ways to Decorate with Thumbtacks! 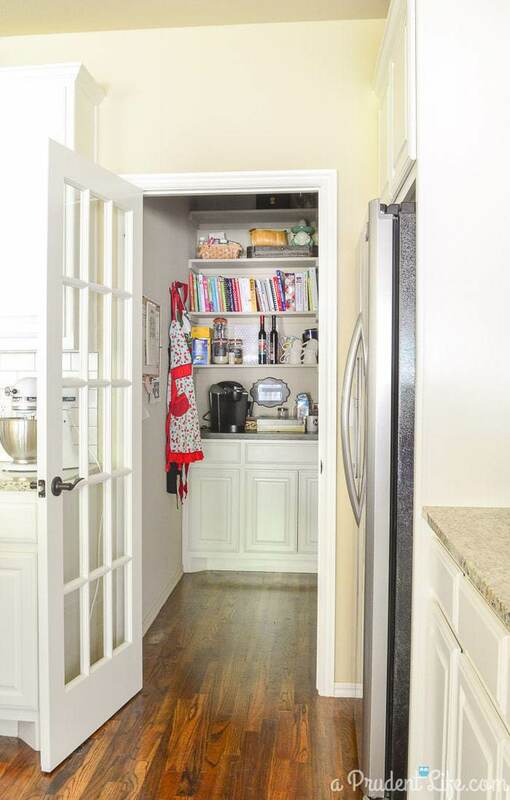 What an awesome pantry space! 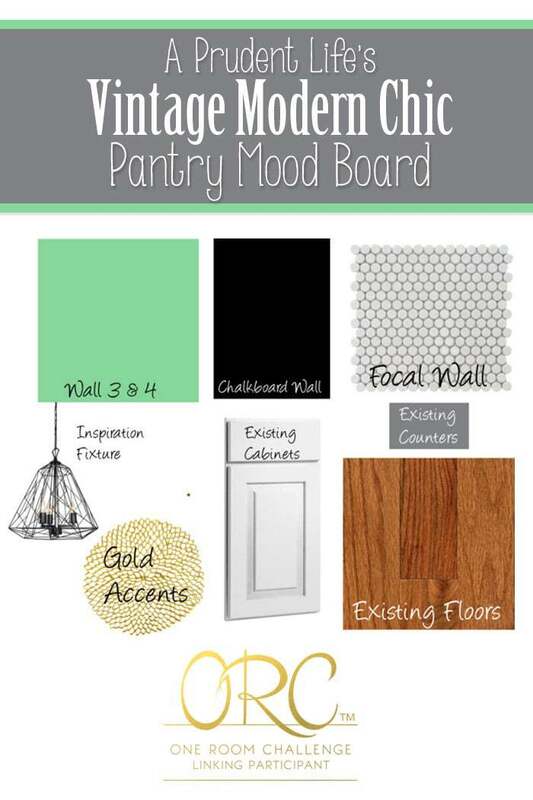 I love the mood board, that green is fabulous and you can never go wrong with gold accents. Off to check out the rest of your home! I love your pantry!!!!! What an amazing space to have, I can’t wait to see it when it’s all done. Your pantry is going to look Amazing! Can’t wait to see everything finished!